(updated 12/03/12 – ed.) We have risen from our Thanksgiving hibernation. The main reason last week’s Tustin City Council meeting took so long was because it turned into a love fest for Hizzoner, councilman Jerry Amante. While Mayor Nielsen’s acknowledgment of Bill Campbell took only a minute or two, He lavished so much praise on Amante, I thought for a minute he was married to him. Campbell spent more time talking about himself than John did, which begs the question, what will John do without Jerry’s hand up his backside making his mouth move? John lavished praise on Hizzoner as he listed the long political history of the two while still trying to convince the public that Amante is a dedicated public servant who served the city of Tustin well. Calling him “the most dedicated public servant that I’ve seen in the city of Tustin”, Nielsen said he puts it all in. Before he got too far, he called on others to lavish praise on Amante as well. OC Supervisor Bill Campbell, our district’s lame duck county supervisor, spent some time articulating Jerry’s broad thinking when it came to regional issues. Of course, he must have been talking about Amante’s dedication to pushing the Foothill Extension that would have torn up thousands of acres of coastal environment for the sake of another toll road. Or, was he talking about his regional thinking of implementing a toll road on the I-405 to allow him and his cronies (that could afford it) to ride in style to the airport? So, the night went, with several politicians singing the praises of Amante and sometimes, as in Assemblymember Don Wagner’s dissertation, throwing a bone to Councilmember Gavello. Wagner was the most gracious to Deborah, in fact, asking her to come down and join him at the podium for a photo op. Yes, it was getting pretty sappy in the council chambers and I even saw a tear or two from Jerry, probably crying over the fact he wasn’t smart enough to figure out how to do away with term limits while he was still in office. All in all, the evening was extended by a full 27 minutes while John, who is probably wondering who will help him speak in full sentences now that Jerry is gone, and others lavished praise on Il Duce. There was more during council comments and we heard Beckie even gave him a kiss. eeyuwhhh…. Yes, Jerry “Hizzoner” Amante has managed, in eight years (we won’t speak about his time on the Planning Commission), to do quite a bit for our little city that was outlined by his Republican fan club. We thought it might be nice to reminisce on the other things Jerry has managed to do for us as well. Now, this blog has only been around for about a year and a half. In that time, Amante and his wrecking crew have managed to do their fair share. Although Mayor John Nielsen extolled Hizzoner’s fiscal conservativeness, the facts speak for themselves. This year, as in the previous year, the Amante led city council dipped into city reserves in order to balance the budget. Cost this year? Four million dollars. Could we forget how Jerry and his crew managed to sidestep the cellular tower issue at Cedar Grove Park with T-Mobile while still maintaining the integrity of the cellular service plan? Although hundreds of citizens who live in the area protested the installation of the towers in their local park, the city council did absolutely nothing to prevent T-Mobile from having its way with the city. 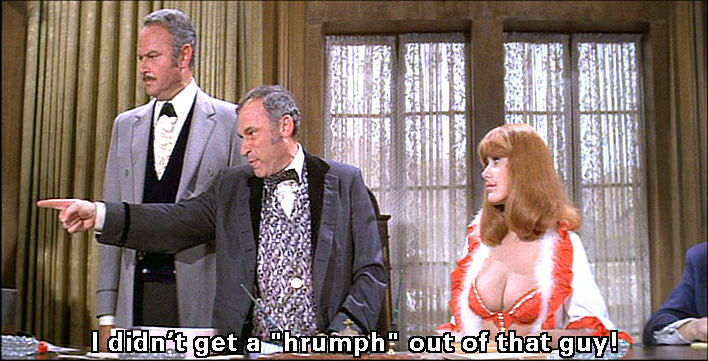 In fact, Amante and his hit man, Al Murray, were adamantly in favor of the design review. Had it not been for the rare split with Nielsen, who voted against the installation, it would have sailed through like most Amante led items. Behind the scenes, however, was the fast work of the three amigos as T-Mobile filed a Federal lawsuit and the city folded like a house of cards by refusing to defend the lawsuit. Not so for the lawsuits between Tustin Unified School District. 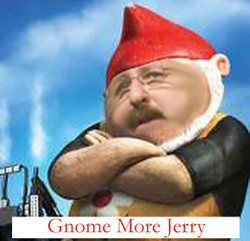 Jerry was instrumental in causing the entire debacle between the city and the school district. Responding to the city’s threats to stop construction on school projects around the city, the school district was forced to sue the city and the result was lawsuits and cross-suits by both sides to the tune of over two million dollars in taxpayer money. This year, one of the lawsuits brought by the Jerry and the city, was laughed out of Riverside Superior Court where the city sought a change of venue in hopes of a friendlier climate. The judge chastised the city for bringing lame arguments that would not hold water with a first year law student to the table. We chastised the good ol’ boys for their racist attitude when they allowed racially derogatory remarks to be entered into the record. Should I mention the iPads? But, of course. It was Jerry’s grand idea, while the city was facing a multi-million dollar shortfall, to bring the city council into the 21st century by having the city buy iPads for councilmembers. This wasn’t a line item on the budget and the cash was pulled from the same reserves used to balance the budget. And, while Hizzoner said the iPads would save thousands of dollars in taxpayer money, no one around the city could tell me if it saved a dime. Let’s not forget how much our fiscally conservative mayor cost the city to hire a new city manager when Amante lackey Bill Huston retired then, only to fire the guy just a few months into the job. We don’t have an exact amount because we couldn’t get ahold of the original contract but, suffice to say, David Biggs -who now works as city manager for Carson, California- came out smelling like a rose with a six figure golden parachute. We got saddled with nearly another year of Huston while the headhunters were busy looking for someone stupid enough to work for Amante and his crew. Parker, who was hired in November of last year and, through sharp negotiations skills managed to cull a sizable salary and benefits package that included being placed on the old 2%@55 retirement plan, exploded onto the scene like a dull firecracker. He was apparently hired more for his ability to acquiesce to the bully Amante rather than his management skills. He fully joined in to the Amante fan club, in fact, and supports every lawsuit Hizzoner has pushed for. Well, lawsuits are much more important than being fiscally conservative, right? Unlike Biggs, our old City Attorney, Doug Holland, saw the writing on the wall and resigned. Rumor has it that he and Amante did not exactly see eye to eye on the school district lawsuits either. In his resignation letter, Holland simply stated he could not work for Tustin and his other client Palm Springs at the same time with the same “high level” he expected of himself. So, it made sense to dump Tustin, which is right around the corner from home and keep Palm Springs, ninety miles away. Sure. We’ll go for that. Or, we could go for our original conspiracy theory that Amante was cleaning house of all who would dare oppose him. At least he did not dump the entire law office of Woodruff, Spradlin & Smart as we thought he might. Instead, he found another lackey, David Kendig who is more than willing to shine Hizzoner’s Italian stilettos while dodging our phone calls. If we thought Jerry might wind down toward the end of his political career (he failed miserably at his bid for the state assembly) with little fanfare, he managed to make his mark in other ways that would set his fiscally conservative approach to terrorizing governing, in stone. Remember Lisa Woolery? A few years ago, Jerry tagged Lisa to be the city’s public information officer and his personal publicist. It was hard to believe that Tustin would need a full-time communications officer. It wasn’t so hard to believe that Hizzoner would need all the help he could get in the publicity arena. So, Lisa spent a great deal of time espousing the transparency in government of the city and spent as much time trying to keep Amante in a good light. The only problem is, even Lisa couldn’t make chicken soup out of chickens….. well, you know what I mean. Despite her efforts, Amante’s true nature shone through and in the end, her efforts were for nought. Jerry must have thought so too, as the city council decided they didn’t need a full-time PIO after all. Instead of letting Woolery go, though, they cut her hours to a part-time position. It didn’t take her long to get the idea and cut the cord. Well, the year is over as is Jerry Amante’s long reign of terror on the dais. No one here will miss his (half) wit as Mayor Nielsen and Councilmember Gomez seem to think they will. And, even though we have all Republicans on the dais, we are ever hopeful that Councilman-elect, Chuck Puckett, will hold true to his word to work toward a better Tustin. In any case, he and the podiatrist councilman will have a great time figuring out who sits next to Beckie. Quite a few important items on the Tustin City Council agenda this week. Negotiations with all major bargaining units and executive managers and the MOUs are on-line. Looking over the contracts, it appears that compensation will remain the same. Last year, negotiations resulted in a new tier of retirement for most employees to rein in future liability to the city. This year, the focus was on capping accrued leave costs. My sources told me that they were also going after compensation but that appears to have been unsuccessful. The cost savings are minimal at best and may not even be realized. Hopefully, the city will not require further layoffs should the budget projections not be met. The other noteworthy item is Jerry’s Folly, otherwise known as The City Council Attendance Policy. Not being embarassed enough by Pam Keller, when she reminded Jerry of their conversation about Deborah Gavello, Hizzoner has decided to go forward with this ridiculous policy. Because the law is clear on local elected officials conduct, this new policy will have no actual effect and amounts to a feel good policy for a schoolyard bully. A reprimand will not keep a councilmember from doing or not doing what they want. What it does do is create an atmosphere of oppression where the Gang of Three can call out the minority at will and allow their own to do what they please. So, that is any public servant? Well, we will see. Hopefully, someone will ask to have this pulled for discussion. If John and Al vote for this morbid piece of ego, just to pander to a lame duck councilmember, they should be ashamed. Also in question is whether the City Attorney, David Kendig, will come clean about the lawsuits between the city and TUSD that appear to be the source of endless discussion in closed session, with no comment whatsoever. Several members of the public, including a member of the TUSD itself have Tweeted, texted and emailed me about the city’s loss of the Heritage School lawsuit. The lawsuit, filed by Tustin for CEQA violations, was moved to Riverside because the city did not think they could get a fair shake. They sent in some big guns from an outside legal firm and, I guess, crossed their fingers really hard. None of that seems to have worked as I have received notifications (which we are trying to verify) that the judge ruled against the city, saying they had no business telling the school district how to run their schools. As you know, the city has spent over $800,000 on two lawsuits and has, so far, nothing to show for it. We hope TUSD is amending their response to ask for legal fees if they haven’t already done so. At least that way we know the money will go toward educating out kids rather than buying shiny toys for the Tustin City Council. Finally, could we get our problems with the video resolved? Please? Conference with Legal Counsel – Exposure to Litigation, two cases & Initiation of Litigation, two cases. Conference with Legal Counsel Existing Litigation – several ongoing lawsuits, including TUSD v. City of Tustin & City of Tustin v. TUSD. Item 7 – Appropriation Limit for Fiscal Year 2012/2013 – Calculations show the limits to be set abnormally low. The resolution repairs that item. That’s it for this session. We will be on the road later this week. Hopefully, the city’s website of transparency won’t be hacked or go down. If you have anything noteworthy, send it along. We’ll be happy to post it.